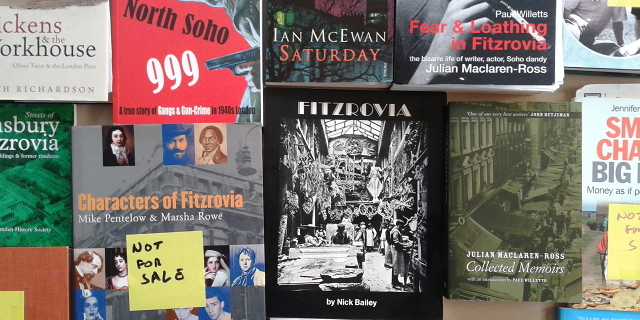 Books by Fitzrovia authors and about the neighbourhood. Ahead of our guided walk around the neighbourhood today there will be time to browse some books about Fitzrovia and by Fitzrovia authors. This entry was posted in Culture and tagged books. Bookmark the permalink.